Plus, Pinterest, Facebook, Twitter, and Instagram! How did Vegan Yack Attack get started? Originally, Vegan Yack Attack was a tumblr account by the name of Yack Attack, which was a nickname given to me stemming from my first name. I basically posted nothing or maybe one picture every few weeks. It wasn’t until I decided that I wanted to learn how to cook, which led me to become vegetarian and then vegan, that I started posted (crappy) photos and recipes. When my Tumblr started taking off, I upgraded my camera and my site and it has gone uphill from there! 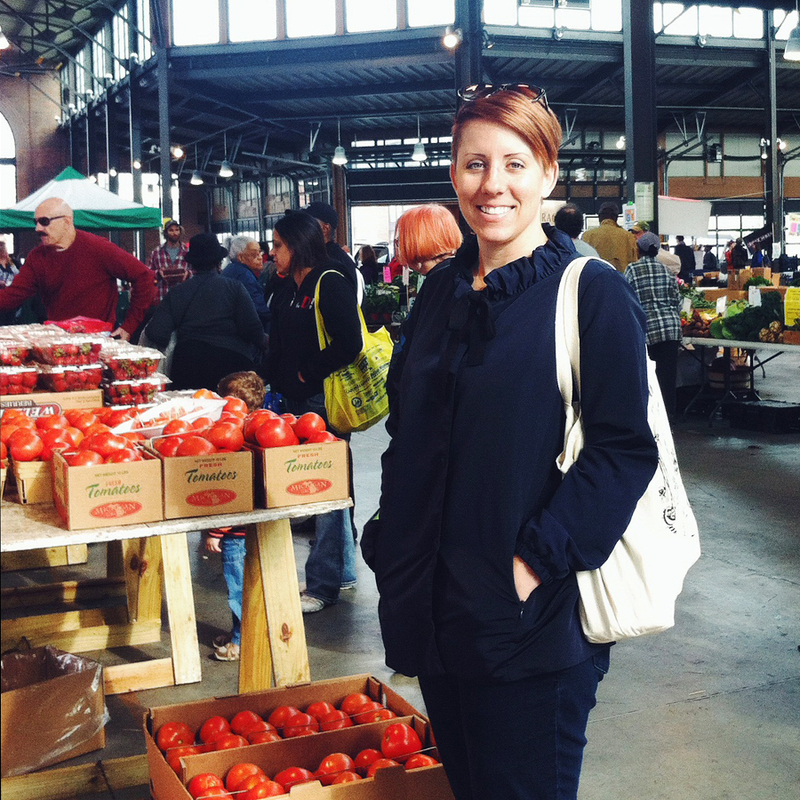 You have a background in product design, do you feel that influences the way you prepare a meal? That is a terrific question! I wouldn’t say that it influences the actual cooking of the meal, but sometimes I’ll sketch out food presentation (rarely though), and shot styling, which is definitely design-related. In the broader spectrum of things, the sustainable side of my design education is one of the reasons why I became vegan in the first place! You’re invited to a potluck, what do you bring to knock the socks off the crowd? It probably sounds overdone, but I LOVE baking. I love it. When I was vegetarian I baked like crazy. So, I love to bring awesome and inventive desserts to parties and potlucks. That’s how I came up with my Berry-Stuffed Lemon Coconut-Frosted Banana Cupcakes! Your Vegan MoFo 2013 theme, Born to Mac, was amazing! Which vegan “cheese” sauce do you think is the best? What is your favorite restaurant in Southern California and what do you order there? Pssh, I’m not even sure I can answer this question. There are a few restaurants that I default to, like Veggie Grill, Au Lac Cuisine, and Mohawk Bend. You’ll find me ordering anything and everything that is covered in Buffalo Sauce. It’s 5pm on a Friday, what drink do you reach for? At this time of year? Probably a Pumpkin Ale or any other rich, spiced, dark beer. I love malty ales, as opposed to hoppy pale ales; basically anything that looks like motor oil and is slightly sweet. And a water, of course. Gotta have some balance! What has been your biggest take-away from living a more compassionate lifestyle? Thank you so much for letting me interrogate you Jackie! 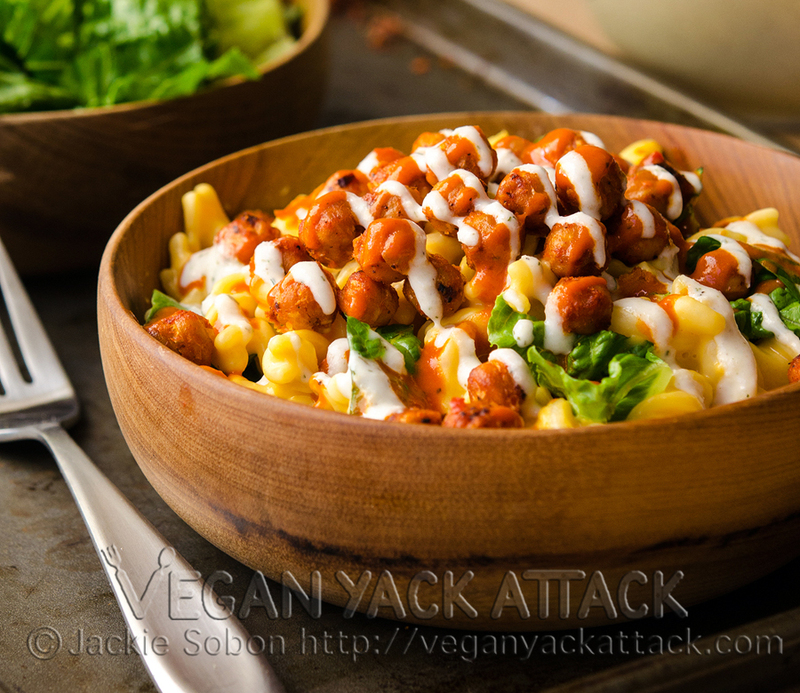 All y’all should head on over to Vegan Yack Attack and check out her amazing recipes – but in the meantime feel free to drool over this Buffalo Chickpea Mac ‘n Cheese!